"Don't listen to the doom and gloom" was the message from the chief executive of Ladbrokes Coral owner GVC Holdings on Tuesday as the gambling giant unveiled its annual results for 2018. 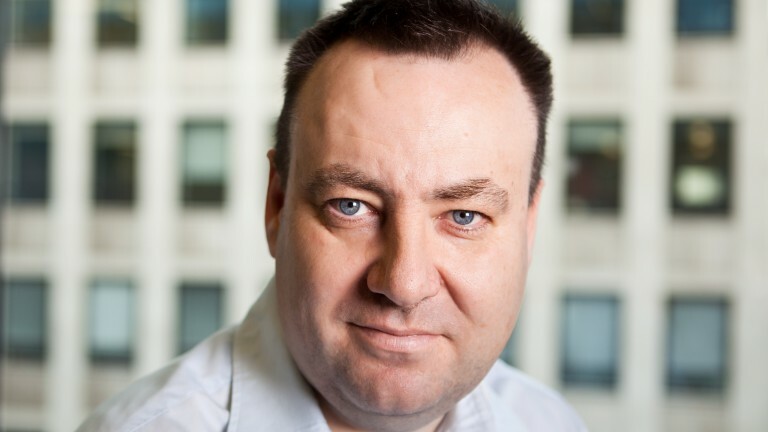 Kenny Alexander hailed 2018 as a "transformational" year following the completion of the acquisition of Ladbrokes Coral, as well as setting up Roar Digital, a new joint venture in the United States with American casino giant MGM Resorts International, adding that GVC was well placed to absorb the effect of the upcoming reduction in FOBT stakes to £2. Revenues in 2018 were eight per cent ahead of the previous year on a proforma basis at £3.52 billion, while underlying ebitda (earnings before interest, taxation, depreciation and amortisation) 13 per cent ahead at £755.3m. Online net gaming revenue (NGR) was 19 per cent ahead of 2018 with the performance of the Ladbrokes Coral UK online brands described as "particularly pleasing". However, NGR across Ladbrokes Coral's estate of betting shops fell by three per cent on a like-for-like basis. Current trading was also reported to be strong, with group NGR 11 per cent ahead of the same period in 2018. "In 2019 so far we have pinged the traps," Alexander told the Racing Post. He continued: "I think we are in good shape. We are winning at the moment and we expect to continue winning in 2019. "We are quite bullish about the UK. I think people doom-monger about the UK because it's used basically to cover incompetence and under-performance. That's my view on it. "So don't listen to the doom and gloom. We are in a high-growth sector, it's still a fun sector to be in and we're winning." Last week Labour deputy leader Tom Watson unveiled plans for the party to introduce stake, spend and time limits on online gambling but Alexander said he was "not particularly concerned". Alexander added: "We have got sophisticated tools that look after customers, that look at the signs of harm. "I think the industry along with the Gambling Commission can deal with the whole issue of problem gambling. It's coming down – the stats say it – and we take it very seriously." GVC reiterated that it anticipated the introduction of a £2 stake for FOBTs could lead to the closure of up to a thousand of their betting shops. Its estate stood at 3,475 shops at the end of the year, down 92 on 2017. However Alexander said a high street presence remained important. He said: "What people have got to recognise about UK retail is that it's a very powerful tool for promoting our digital brands and, with the advertising ban and possibly other advertising clampdowns, having a shop with your brand on the UK high street is actually a valuable asset." Alexander said GVC had detailed plans for the new FOBT stake regime. "We are ready for it," he added, "we have been ready for quite some time and we'll start to roll out those plans in the rest of the year." As with other European operators, GVC is eyeing the US sports betting market which is opening up following a Supreme Court ruling last year. "Everything is going to plan and progressing well," Alexander said. "It's an important part of GVC but we have got other very exciting opportunities within the group." Alexander referred to the recent loss of fixtures due to equine flu and the ongoing boycotts over prize-money as minor issues for the firm adding: "We are looking forward to Cheltenham and hopefully we'll get a few results there." The City was certainly impressed by the results, with GVC's share price rising by more than seven per cent to 697p at close of trading. The man in charge of Ladbrokes Coral is hoping results at the Cheltenham Festival go his in his favour in more ways than one. GVC Holdings chief executive Kenny Alexander's blue and white colours could be carried by three horses at next week's meeting including by Honeysuckle, the 7-2 second favourite for the National Hunt Breeders Supported by Tattersalls Mares' Novices' Hurdle. 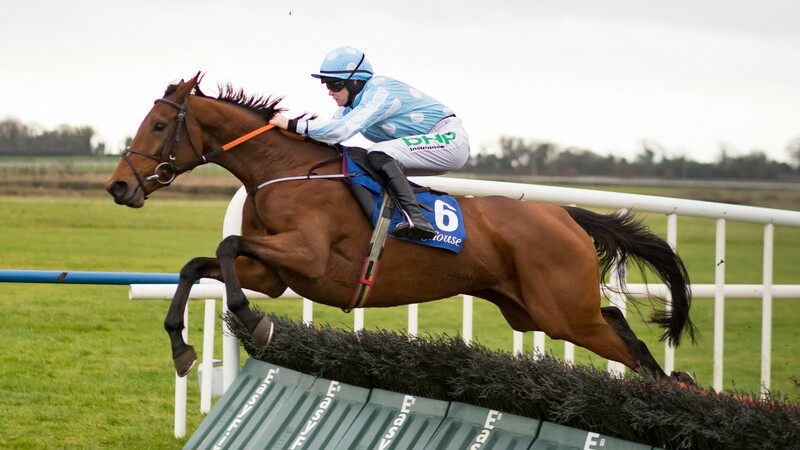 The Henry de Bromhead-trained mare has won her three starts over hurdles this season, most recently landing a Grade 3 event at Fairyhouse in January, and will be ridden by Rachael Blackmore in next Thursday's Grade 2 event when she could be joined by Alexander's Elfile who is trained by Willie Mullins. Honeysuckle's stablemate Sinoria is also set to represent Alexander in Wednesday's Ballymore Novices' Hurdle. "Honeysuckle is the great hope," Alexander said on Tuesday. "We might need to put out a regulatory announcement if she wins, you might lose the CEO for a couple of weeks if she does! Alexander also has horses trained with Gordon Elliott in Ireland, while his string in Britain is spread between Nicky Richards, David Pipe, Lucinda Russell and Nick Williams.